Milk and Juice Labels • Enterprise Label, Inc.
We create superior quality milk and juice labels. Juice labels need to stand out in the pantry but, like milk labels, must also withstand moisture and being chilled. No matter the conditions, our milk and juice labels will remain in pristine condition. With a variety of printing technologies and materials, our expert team can help you create the perfect milk or juice label suitable for any adverse circumstances or handling. 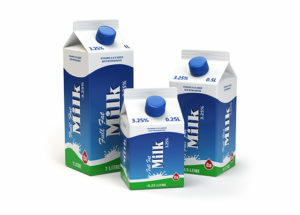 We have many flexible options for printing milk and juice labels to meet your requirements! Looking to print bright, vibrant colors? Enterprise Label, Inc. has four color process technology and we can print up to 6 Spot Colors. Silk screening and thermal transfer, as well as direct thermal technologies, ensure that your labels will print cleanly and smoothly. Looking for Unique & New Milk and Juice Labels?